How do you define or describe a UAE consumer when you have almost 200 plus nationalities dwelling? “It was indeed a long excerise,” says Dr Aisha Butti bin Bishr, while sharing that the UAE government wants to understand the people and their needs and set a global precedence for the same by incorporating required policy and project changes with ‘happiness’ being on the agenda. The main focus from now on will be on blockchain technology, Bishr explained that by widely implementing blockchain technology we are offering safer and quicker transactions and hopefully in the forthcoming 37th annual Gitex Technology Week we can expect a certain announcement on blockchain from the government. “In fact the agenda for H1 2018 will revolve around implementation of blockchain technology in the nation’s key sectors,” she said. Dr Bin Bishr on Sunday was speaking at a Press conference where she announced that Smart Dubai is gearing up to take part in the 37th annual Gitex Technology Week. 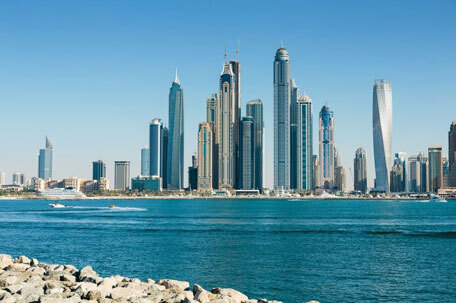 For the duration of the event – which is scheduled to go on from October 8 to 12 at the Dubai World Trade Centre – the Smart Dubai booth will bring together more than 42 government and private institutions. The booth will take the visitors on a journey to the future, offering a vivid example of how Smart Dubai intends to build on its cooperative ties with government entities and the private sector in order to contribute to the UAE Centennial 2071. “Gitex Technology Week has established itself as a staple annual event that attracts top-ranking decision makers from institutions across the country,” asserted Bishr, along with Wesam Lootah, CEO of the Smart Dubai Government Establishment (SDG), and representatives from local and international media. Gitex Technology Week 2017 highlights the latest technology in healthcare, education and construction, among other sectors, and will offer, through thousands of exhibitors, a variety of new events, including educational opportunities, such as lectures and technical seminars with keynote speakers.